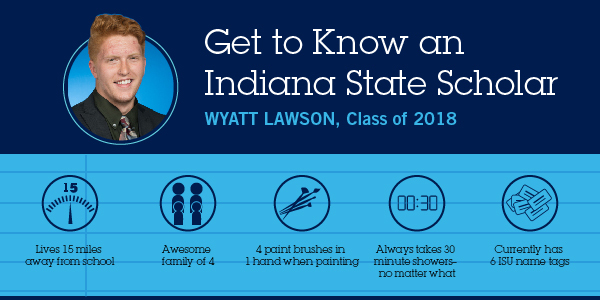 Wyatt Lawson, junior from Rosedale, Ind., is a recipient of the Creative and Performing Arts Award, which is earned through an audition, portfolio review and an interview in the department of creative and performing arts. Lawson is a member of the Student Alumni Association, which is a student group that works to connect alumni and students through networking opportunities. He also serves as a senate speaker for Student Government Association, works as a coordinator with student-staff and holds an office within Delta Sigma Phi. Lawson has enjoyed being involved with the Nonprofit Leadership Alliance, which is a part of his minor program. Lawson is majoring in fine arts with a concentration in two-dimensional design and has a goal of getting into graduate school and pursuing a master's in student affairs. "This is my home place where I spent 4 years of my life," he said. 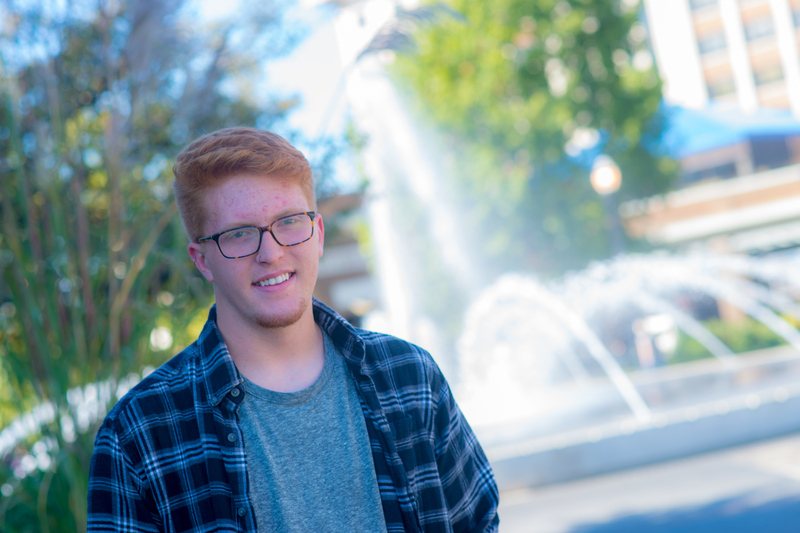 "I enjoy working with student groups and seeing other people evolve in student organizations. Especially since I am an upperclassman, I like seeing underclassmen get bigger roles and do them really well and not be afraid to ask for help. Accepting and growing is really nice to see, and this is why I want to go into student affairs, to help student organizations and student life as a whole." If you could go anywhere in the country, where would you go? "I would probably go to Italy, probably because of its history with art and it is a beautiful country. I almost studied abroad there to go to the Florence Institute of Art, but definitely because of the culture." If you could eat one kind of food for the rest of your life, what would it be? "Pasta -- 100 percent. I absolutely love pasta, and it would probably be topped with alfredo sauce. You could put any kind of noodles with alfredo, and I'll eat it." "I was just working orientation, and I get super frustrated when people aren't excited to be here or the ‘Debbie downers.' Some people don't realize all the other opportunities that come with getting an education. College has so much to offer." "One hundred percent. It is weird because I never played any competitive sports in high school, but I just like the idea of friendly competition and having a price. I value trying really hard for something and I put 100 percent of myself into everything I do. The little bit of the competitive nature in me keeps me on task."